This sink is a statement piece!!! I’m extremely happy with the quality. I’ve had my eye on it for a while and I am so happy that I decided to go for it. It looks amazing in my powder room. Why WonderGliss? Developed and tested in cooperation with Nanogate Research Labs, WonderGliss represents a state-of-the-art finish when it comes to surface quality. 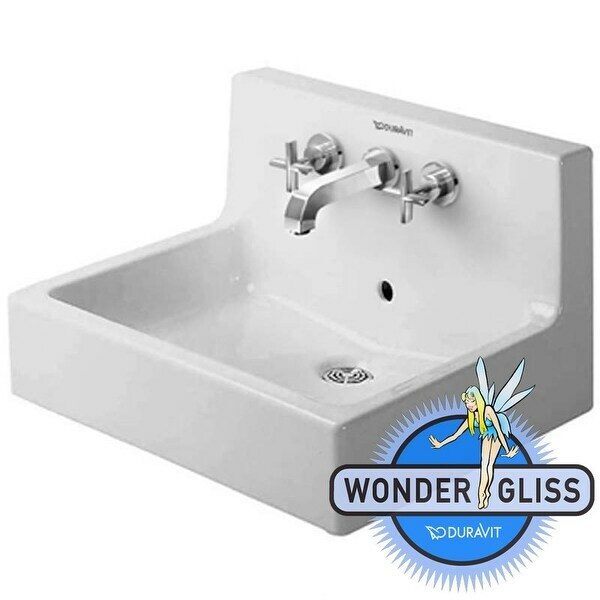 WonderGliss has proven to be twice as durable as generic ceramics, in addition to being practically self-cleaning. This proprietary glaze prevents bacteria and residue build-up, allowing for increased sanitation and decreased wear and tear. WonderGliss lengthens ceramics longevity and takes the hard work out of cleaning. "What faucet handles did you purchase that fit this sink properly? Having trouble finding ones that work right."